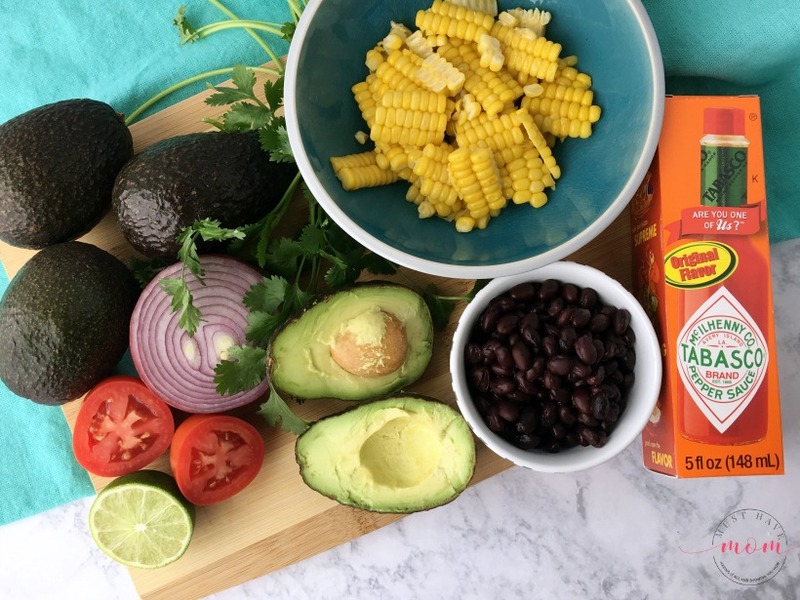 *This recipe post was sponsored by Avocados From Mexico in partnership with the Mom It Forward Influencer Network. However, all thoughts and opinions are my own. 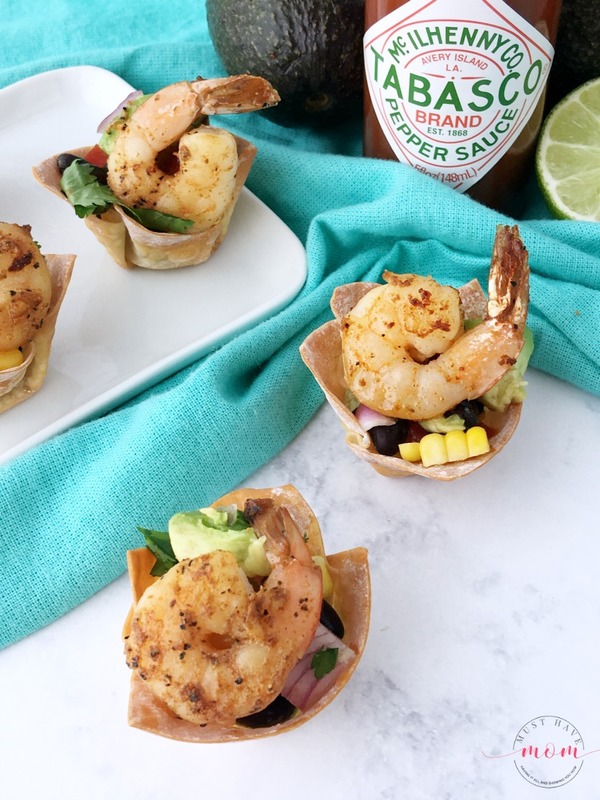 These spicy shrimp wonton cups are bursting with fresh flavors and make the perfect addition to your appetizer line up for the big game! Add this recipe to your favorites because it’s a keeper. 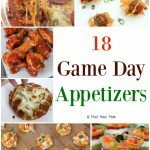 I absolutely love appetizers during the big game and while I could indulge on them all night, I love to have some light, healthier options as well so I don’t feel so weighed down after all that snacking! These spicy shrimp wonton cups fit the bill and if I’m being honest, I totally eat them for dinner too! 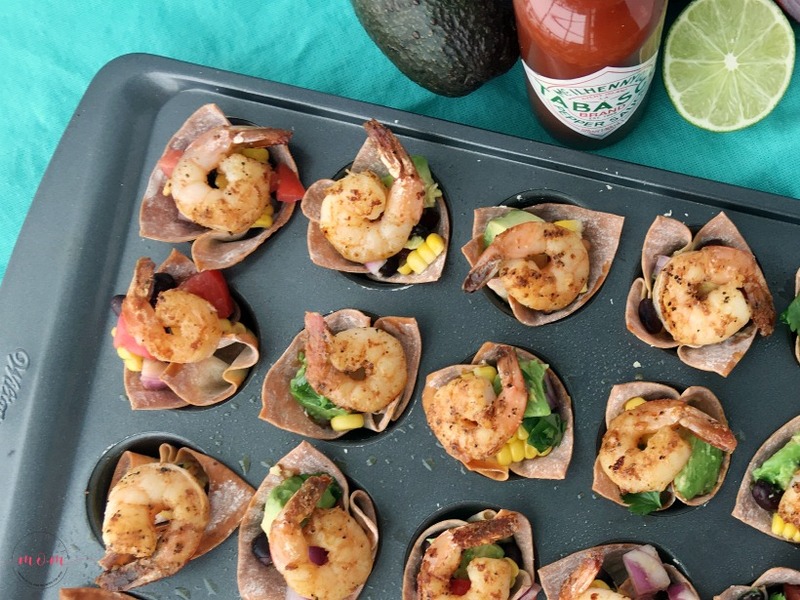 They’re filled with fresh ingredients like Avocados From Mexico and sweet corn that pair perfectly with a spicy sauteed shrimp perched on top of a crispy, baked wonton cup. I love pairing a touch of spice with fresh ingredients. 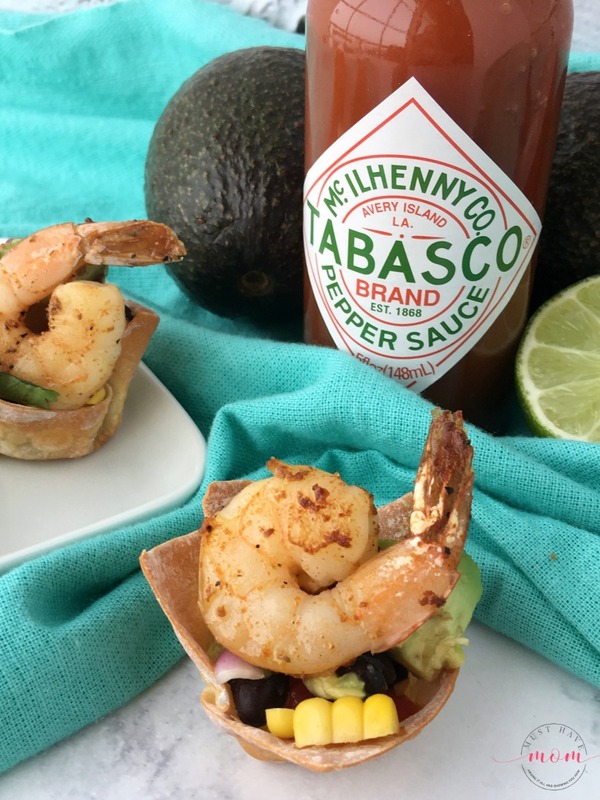 In this recipe, I pair shrimp seasoned with TABASCO® Sauce with one of my favorite fresh ingredients, Avocados From Mexico. We ALWAYS have Avocados From Mexico in our house and eat guacamole on a daily basis. 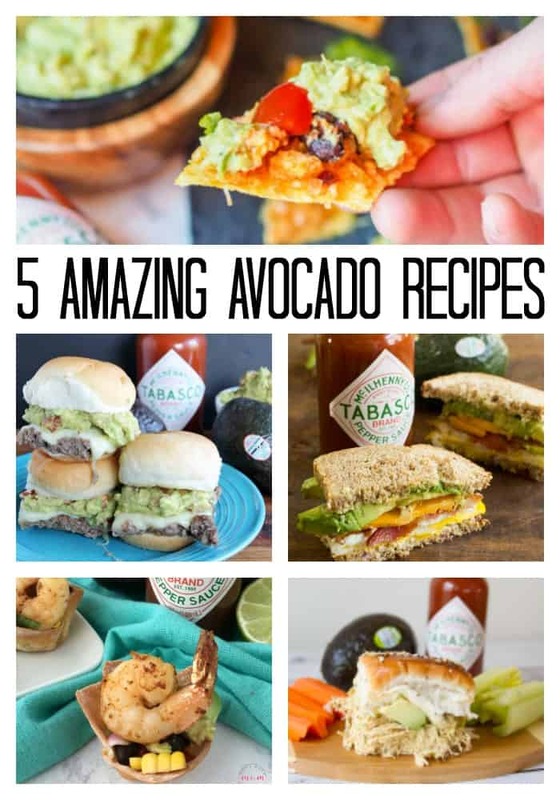 We have found SO MANY fun ways to infuse our love for avocados in our favorite foods. 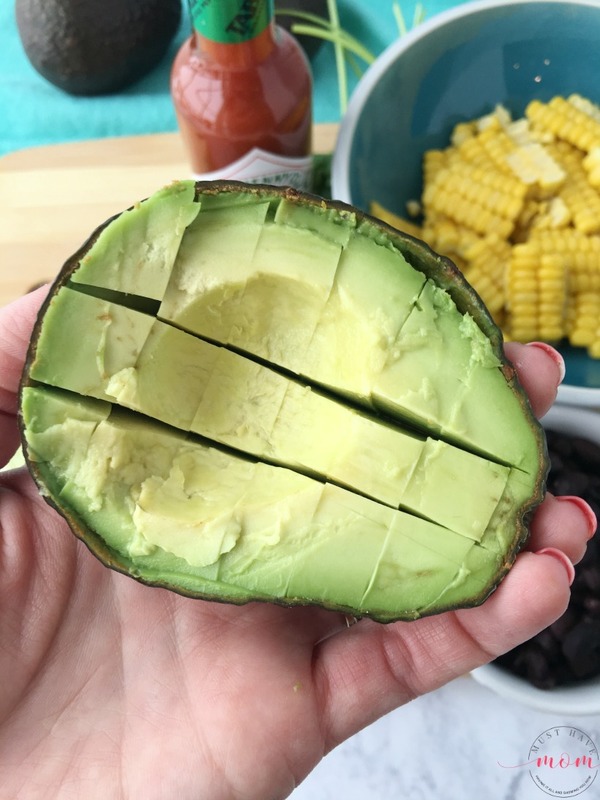 We add Avocados From Mexico to everything from our breakfast egg sandwich to sheet pan nachos and hamburgers. They add the flavor we love and enhance so many different dishes. They are so versatile and delicious. I was shocked to find out that TABASCO® Sauce ingredients are marinated for three years in wood barrels before the sauce is bottled! That’s incredible. Who knew? It is made from vine-ripened, red jalapeño peppers over a pecan wood fire and makes a perfect addition to the Big Game food spread. TABASCO® Sauce is made with 3 simple ingredients: tabasco peppers, a small amount of salt and high-quality vinegar. That’s why I added it to BOTH the shrimp and the Avocados From Mexico mixture. It’s a simple addition to the dish and it delivers big flavor. Begin by greasing a mini muffin tray and pressing wonton wrappers into each muffin cavity. Be careful to press it in and leave an opening for the stuffing. 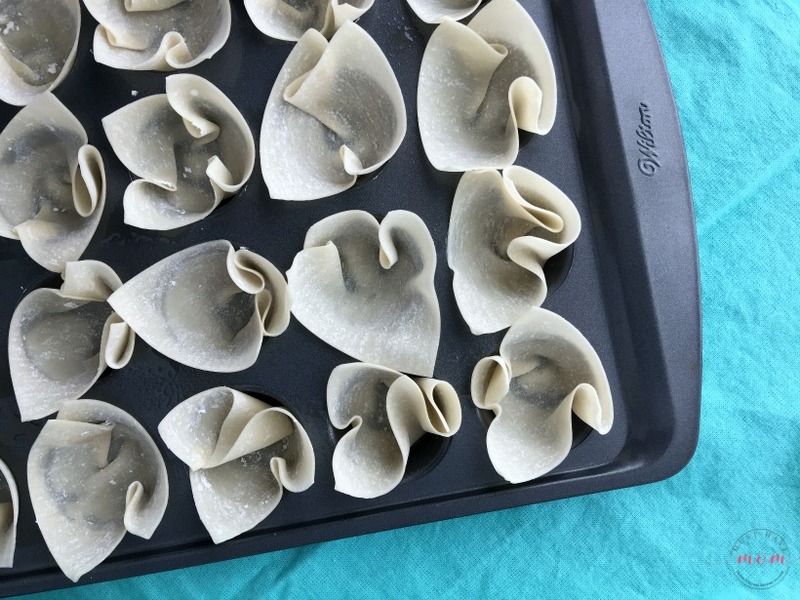 Bake wonton wraps for 10 minutes at 350 or until browned. While wonton wraps are baking begin making the black bean and corn guacamole. You’ll need 2-3 Avocados From Mexico. Cut them in half and remove the pit. Then, while they are still in the skin, use a knife to cut them into chunks as shown above. Then use a spoon and scoop them out into a bowl. 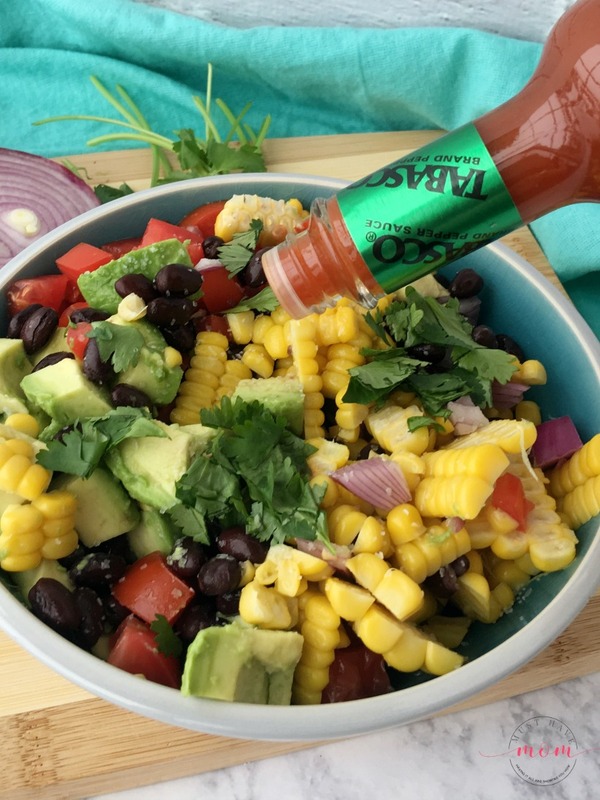 Add 1 diced Roma tomato, half a diced purple onion, 1/2 cup of corn cut off the cob, 1/4 cup black beans (rinsed), handful of cilantro (chopped), 1/4 teaspoon of salt and the juice of one lime to a bowl. Stir together gently, being careful not to smash the avocados. Then, add some TABASCO® Sauce to the bowl and mix gently. Add as much or as little as you wish depending on your preference. 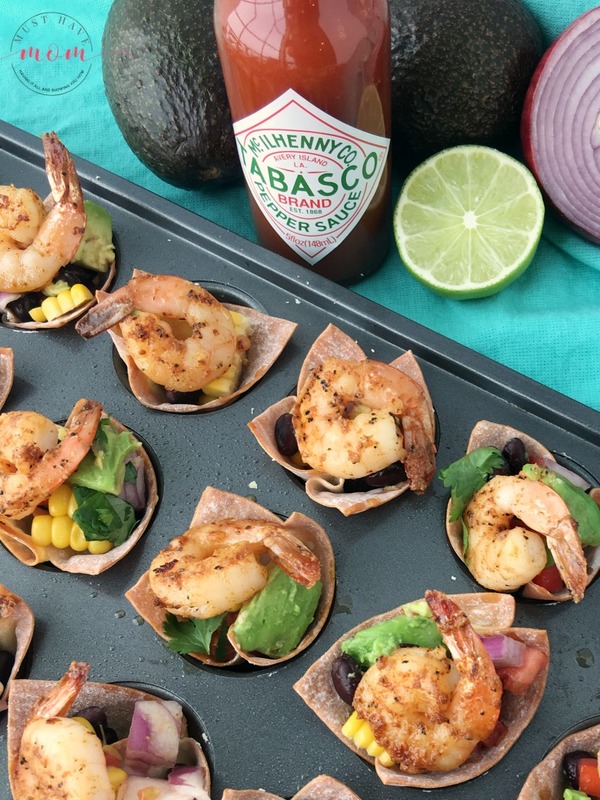 Toss the shrimp in a bowl with TABASCO® Sauce, olive oil, chili powder, garlic, salt and black pepper. Toss to coat and then allow them to sit and marinate while you heat up a saute pan over medium-high heat. Cook the shrimp in a saute pan over medium-high heat for about 2 minutes per side, until shrimp turn pink and are no longer translucent. Remove from heat. 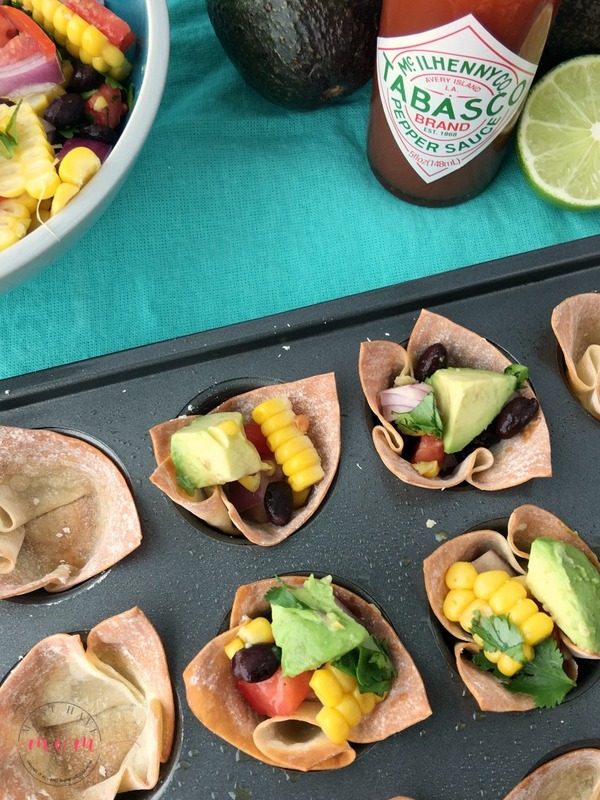 Fill the baked wonton cups with your black bean and corn guacamole mixture. Top each wonton cup with one spicy shrimp. Serve immediately, although these are just as tasty cold as they are warm! These will make the perfect appetizer for the big game! They are one of those things you can just grab and pop in your mouth and don’t need a plate for. I suggest using shrimp with the tails removed for easy, mess-free eating! 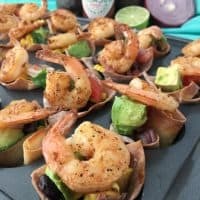 Spicy shrimp wonton cups with black bean and corn guacamole. Easy appetizer for the big game that packs a big punch of fresh flavors! Preheat oven to 350 degrees F. Grease a mini muffin tray and press wonton wrappers into each muffin cavity. Be careful to press it in and leave an opening for the stuffing. Bake wonton wraps for 10 minutes or until browned. While wonton wraps are baking begin making the black bean and corn guacamole. You'll need 2-3 Avocados From Mexico. Cut them in half and remove the pit. Then, while they are still in the skin, use a knife to cut them into chunks as shown above. Then use a spoon and scoop them out into a bowl. 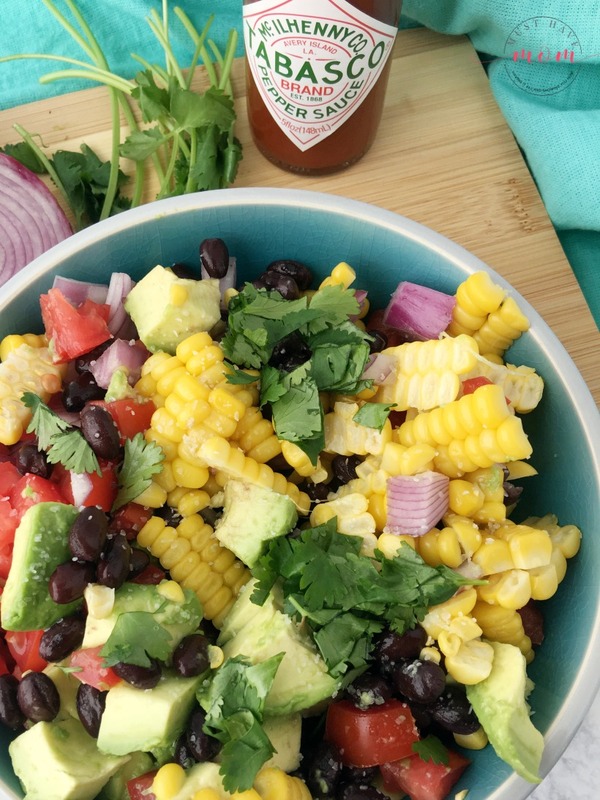 Add 1 diced Roma tomato, half a diced purple onion, 1/2 cup of corn cut off the cob, 1/4 cup black beans (rinsed), handful of cilantro (chopped), 1/4 teaspoon of salt and the juice of one lime to a medium bowl. Stir together gently, being careful not to smash the avocados. 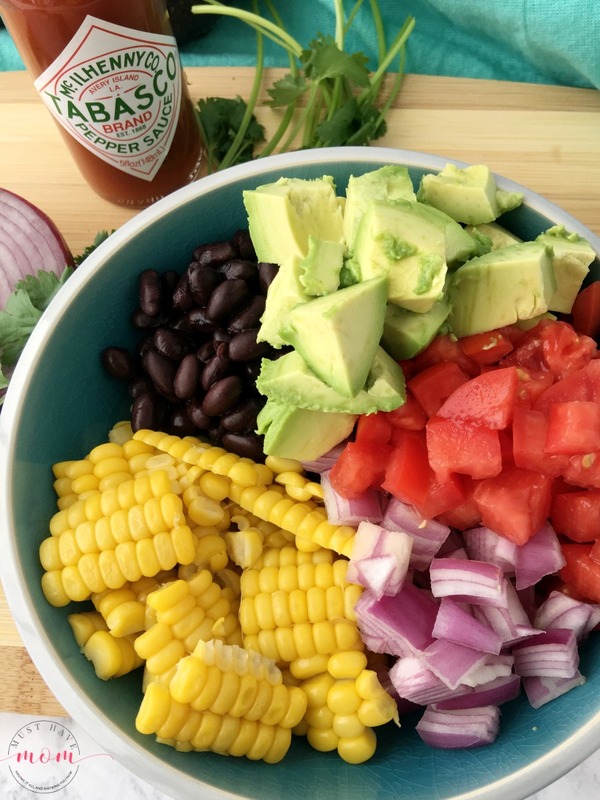 Then add TABASCO® Sauce to your liking and set bowl aside. Toss the shrimp in a medium bowl with TABASCO® Sauce, olive oil, chili powder, garlic, salt and black pepper. Toss to coat and then allow them to sit and marinate while you heat up a saute pan over medium-high heat. 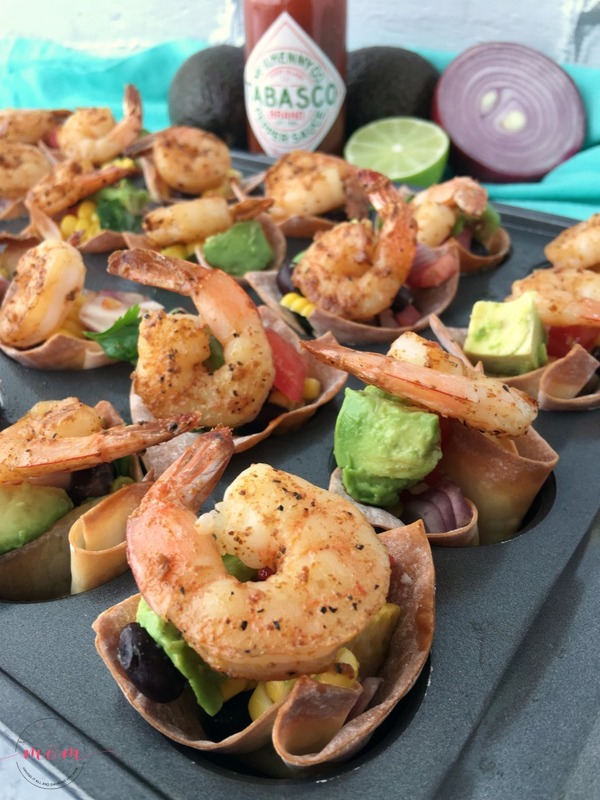 Fill baked wonton cups with corn and black bean guacamole mixture and top each cup with a spicy shrimp. Serve immediately although they are also tasty cold! 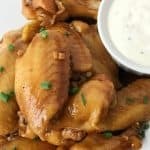 Sweet & Spicy Coca-ColaⓇ Chicken Wings Recipe! 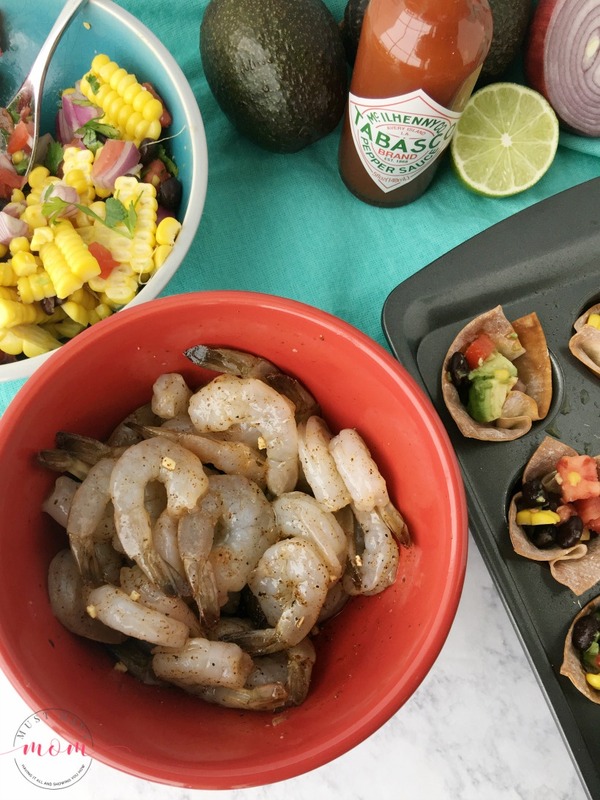 I love recipes like this, where you can see each ingredient clearly- that corn and avocado looks delish, and you can’t go wrong with the shrimp. I need to PIN this for my next potluck! Wow I would love to win a $1,000 gift card. 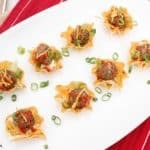 These spicy shrimp wonton cups look so delicious and easy to make. I will have to give them a try for our next game night. I’m obsessed with these wonton cups. They look so yummy. This is one recipe I am adding to my list to try. Thanks for sharing. This recipe looks absolutely delicious! What an awesome combo of flavors! I’d also like to try the essential guac recipe on the Avocadoes of Mexico page! These look fantastic! 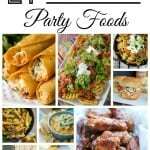 I love these one or two bite snacks- great for party apps! This looks like a really delicious, healthy and hearty appetizer for events year round – I love this! I’ll also pretty much eat anything that has avocado on it because they just make everything better in life! The Mint Pea Guacamole with Coriander Yogurt sounds appealing. Loads of interesting options, few a bit wonky for my taste. I want to make the Caramelized Apple & Chili Guacamole. I followed the Big Game 2018 pin board. Tell you what, seems loading time was worth the wait ,https://avocadosfrommexico.com/big-game/kitchen/recipes/to-ceviche-their-own-guacamole/. Their “Avocado Burgers That Won’t Make You Crabby” look fairly good. Thanks and God Bless!